Dallas-Fort Worth Intl. - Suvarnabhumi Intl. John F. Kennedy Intl. - Suvarnabhumi Intl. Salt Lake City Intl. - Suvarnabhumi Intl. 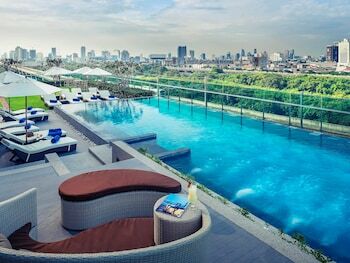 Bid farewell to forgettable vacations spent touring stuffy museums, and instead, plan a vacation in Bangkok. 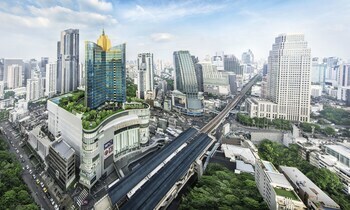 The capital city of Thailand is full of colorful, ancient temples as well as sleek, modern skyscrapers that will have you walking around with your face turned toward the clouds. Book your Asian getaway with Travelocity, and pocket the change you saved to tip your tuk-tuk driver. 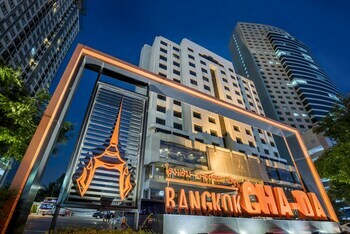 You have the foresight to book one of our Bangkok vacation packages, but you still need to find the hotel that speaks to your needs. 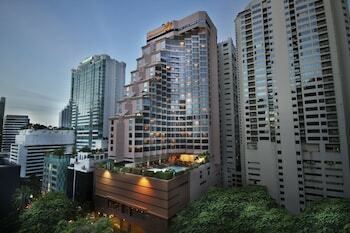 Do you crave an opulent accommodation overlooking the Chao Phraya River? Or do you prefer to be in close proximity to the airport? 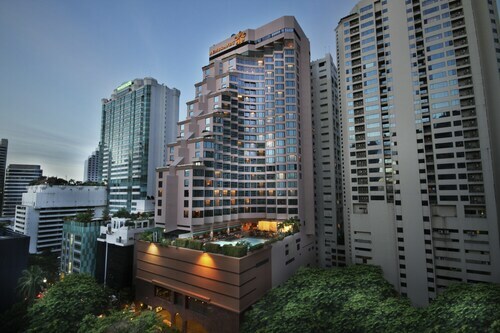 We have everything you need from lush accommodations near Lumphini Park to classic suites with sweeping views of the city. Shangri-La Hotel, Bangkok: In traditional Thai style, all rooms at the Shangri-La are decorated with silk and teak adornments. 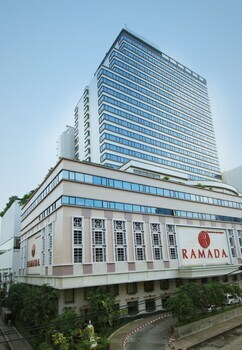 With views of either the city or the Chao Phraya River, you’ll feel like royalty as you awake and roll back the curtains to soak it all in. 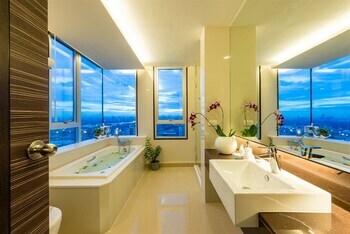 Lebua at State Tower: Offering suites with private balconies, living rooms, and kitchenettes, the Lebua is for the traveler looking for home away from home. 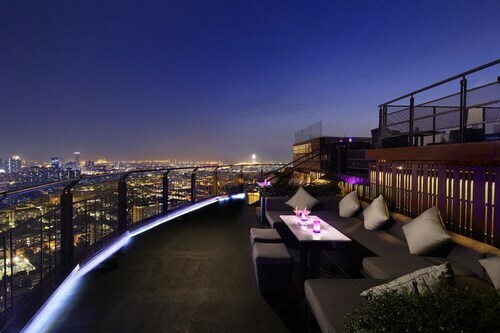 With the modern luxuries that you’re accustomed to and the traditional excellence of Thai hospitality, you’re bound to enjoy your stay–especially once you give in to temptation and grab a drink at the hotel’s rooftop bar. 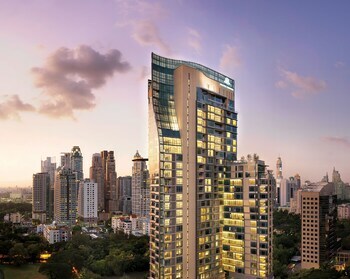 The Sukhothai Bangkok: Located in close proximity to the sprawling urban greenery of Lumphini Park, the Sukhothai is a must for those who long to be at the center of the city’s action. With standard rooms that are clean and modern to private suites that are as large as an apartment, you’re bound to find the accommodation that suits your style. 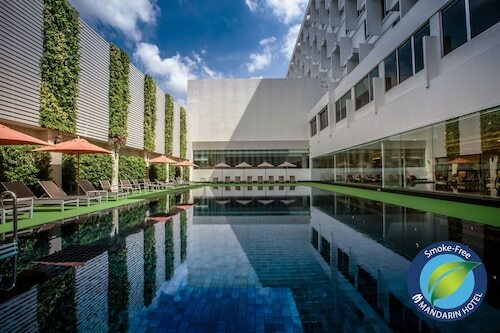 Novotel Suvarnabhumi Airport: Looking to add a touch of convenience to your Thai travels? 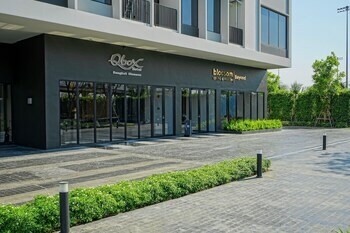 The Novotel Bangkok Subarnabhumi Airport Hotel is merely a five-minute walk from the airport and allows guests to check in 24 hours a day. 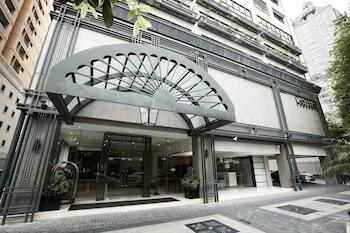 Once you’re done adjusting to the time difference inside your luxurious quarters, take a 20-minte Airport Link train ride into the city or enjoy the accommodation’s spacious pool. Although there are many historic buildings to behold during your Bangkok vacation, perhaps none are as extravagant as the city’s Grand Palace. Built in the late 1700s, the former residence of the Thai king is still packed with visitors to this day. 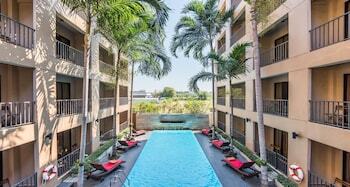 Marvel at the structure’s gilded pagodas and admire the ancient emerald Buddha inside the grounds. With intricate statues and shrines at every turn, you could spend hours at the site and still not witness all of its grandeur. 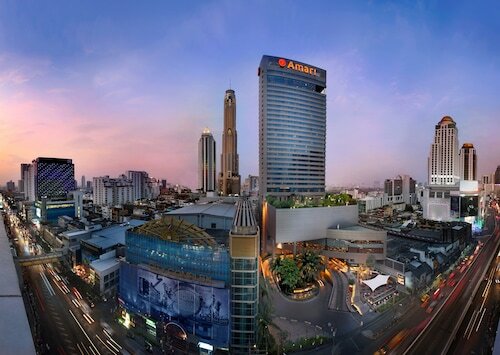 Beyond its exquisite temples and friendly inhabitants, Bangkok is known chiefly for its out-of-this-world street food. Adventurous eaters can taste their way through the vendor stalls selling fried noodles and meat skewers in the backpacker’s haven, Khao San Road, but there’s no better place to find delicious eats than in the city’s Chinatown. Yes, Chinatown really does boast the best Thai food. The neighborhood’s bustling food scene doesn’t spring up until after sunset, so proceed with an empty stomach and a sense of adventure once evening settles around the city. 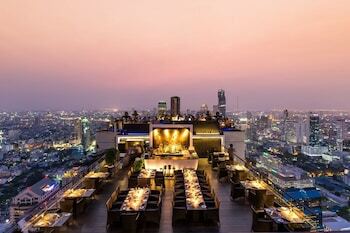 From the standard tourist fare, pad Thai, to more adventurous eats, such as freshly boiled blood cockles, whatever you decide to consume is sure to be delicious–and will make your trip to Bangkok one for the culinary books. As soon as you touch down in Thailand, you’ll appreciate how friendly locals are. It is known as the Land of Smiles for a reason, after all. 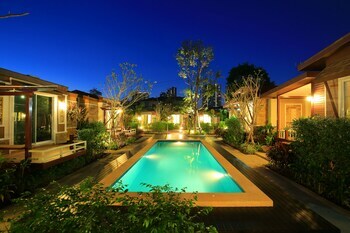 However, the country is most jubilant during April when the nation celebrates Songkran. 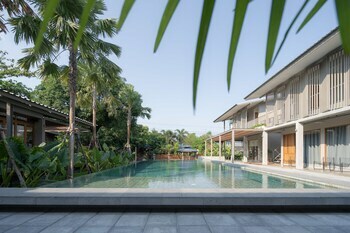 This three-day festival during the hottest month of the year celebrates Thai new year in a truly epic way. Many businesses shut down during Songkran so their employees can take the streets with locals and tourists to soak each other with massive water guns, or toss buckets of icy water at passersby. This tradition symbolizes washing off the misfortune of the past year, and beginning the new year with a clean slate. If you’re looking for a beach vacation near Bangkok, head south to Phuket in November for Loy Krathong. Known as the “Festival of Lights,” those participating release small floating lanterns into the water as a token of good luck. Not only will you experience something truly magical, but you’ll be presented with some incredible photo opportunities to boot.